The estimated cost to install a chimney cap on your fireplace is around $45 – $80 for a basic cap with DIY installation. To have a professional install the chimney cap, the cost with installation is around $150 – $200. How Much does a New Chimney Cap Cost? 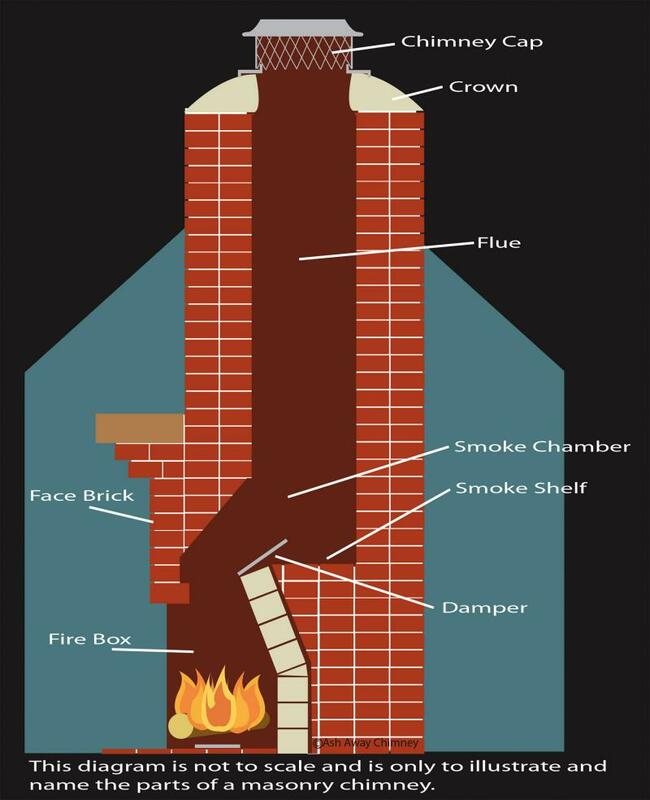 Chimney caps are a very important component to your fireplace and chimney system. While technically, your chimney will operate fine without a chimney cap, a properly installed cap will prevent water from running into your fireplace and causing damage to your chimney liner or other important parts of the fireplace like the damper. They also prevent small animals and birds from entering the stack when its not in use and also help to prevent sparks or burning embers from rising out of the chimney and catching your roof on fire. This Costimate gives accurate prices for the range of caps available, plus labor costs to have it installed. You’ll have the information needed to know what to expect when you shop for a chimney cap at local stores or online, or if you get chimney cap installation estimates from local installers. We’ll help you decide if DIY installation is right for you or if hiring a professional to take the risk of working on the roof makes more sense. In addition to the accurate and current costs we list, you can find cap installation costs submitted by other homeowners, plus links to other websites with similar data. The type of metal used: Your three common options are galvanized steel (Lowest cost), stainless steel (Average cost, recommended) and copper (High end, higher cost). Aluminum caps, which are average in cost, are less common. The size of the cap: Standard single chimney caps can be as small as 6” round or 9” x 12” rectangular. Chimney caps covering two or more flues can be as large as 18” x 64” and cost three times as much. If you need a custom size, which is rare, expect to pay a 20-40% premium. Specialty types: Chimney pots, decorative caps with shrouds and caps finished in durable Kynar colored coatings, cost up to twice the cost of standard styles. Who installs the cap: Installing a chimney cap isn’t difficult if you have experience on a ladder, someone to assist, a roof with low-to-moderate slope (flat to 5/12, for example) and a few hand tools. On the other hand, since the job is easy, having it professionally installed while you avoid the risk won’t break the bank, as you can see below. Installation factors: Most chimney caps have one or more tightening screws on each side for quick installation. The chimney cap installation will be higher if adhesive is added, or if mortar screws are installed in the crown. Time of year: You might pay more to have a chimney cap installed in winter months if there is snow and/or ice on the roof. Note: Cool months in any climate are the best months to install a chimney cap. Conditions are safe, and roofs aren’t so hot that walking on them will damage shingles, membranes or other materials that soften in heat. Condition of the crown and flue: When repairs are needed first, the cost will be much higher. Besides the cap, the costs are minimal. You can find chimney caps at home improvement stores like Lowe’s and The Home Depot, local fireplace stores and from online sellers like Amazon. A permit isn’t necessary when adding just a chimney cap. If extensive work is being done to a brick chimney such as rebuilding it or replacing the lining, a permit probably is needed. A permit includes an inspection that will ensure the work is done properly to protect your safety and investment. Call your local building department to determine if a permit is needed. Don’t rely on your installer for that information because a few unscrupulous installers will seek to cut time and cost by not getting a necessary permit. To save potential costs, make sure anyone that goes on your roof has liability insurance because of the possibility of injury from a fall. If your roof is not in good condition, disclose this to the installer or have the roof repaired before the chimney cap is installed. There are two steps and two trips onto the roof when installing a chimney cap. First, the single flue or multiple flues must be measured to determine what size cap is needed. Then, the cap must be installed. Many installers charge a minimum service fee for any job they do, and that should be sufficient to cover your chimney cap installation cost. That’s a significant installation cost range. Your options are a handyman ($50-$100), pest control service or chimney sweep ($75-$125) and a fireplace company ($100-$200). As long as you’re OK with heights and working from a ladder or roof, you should have no issues installing your own chimney cap. If repairs to the flue are needed, you may want to rethink the job. I’ve installed my own chimney caps several times and while it’s a pretty straight forward job of getting the right size and style cap you want, it’s not for anyone who is afraid of heights, doesn’t like climbing onto their roof, or just wants to leave the dirty work to a professional or handyman. While you’re up there is a great time to take a visual chimney inspection as well, and if a pro does the job, consider having the chimney cleaned at the same time. Installing a Chimney Cap is a fairly simple DIY Project. What do You Think? Compare chimney cap installation costs from around the web.